Why not let an experienced plumber handle the fitting of water taps for you? Even the smallest plumbing issue can lead to severe consequences over time. A single dripping tap can result in mould growth, damage of the sink sealing and deterioration of the surface around the basin. Don’t ignore the leaking faucets in your kitchen or bathroom – book our experienced plumbers and we will help you deal with the problem. Handyman Near Me can replace the old taps or fit new ones when you renovate your property. Our experienced handymen have hands-on experience in various plumbing jobs and can help fix the water fixtures efficiently and on time. Take advantage of our same-day bookings and get the water taps fitted by the best plumbers in London! Handyman Near Me will provide you with a fast and high-quality fitting of taps. Our skilled professionals can fix dripping faucets, repair and change various bathroom fixtures. We have experience in replacing and fitting taps of all kinds – wall-mounted faucets and shower mixers, compression washer taps, ball taps, disk taps and cartridge taps. The technicians will bring all the tools and equipment necessary to do the job efficiently and fast. 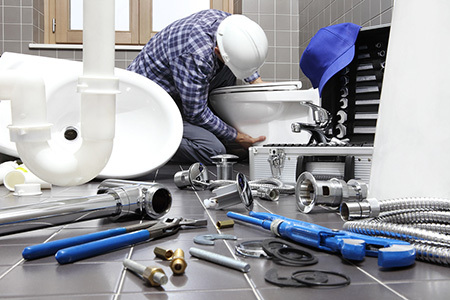 We provide same-day bookings to help you deal even with emergency plumbing issues. Handyman Near Me provides local services for you when you need it most! When something in your home needs fixing we can send the right professional at the best prices in the UK on short notice. Same day bookings are welcomed!